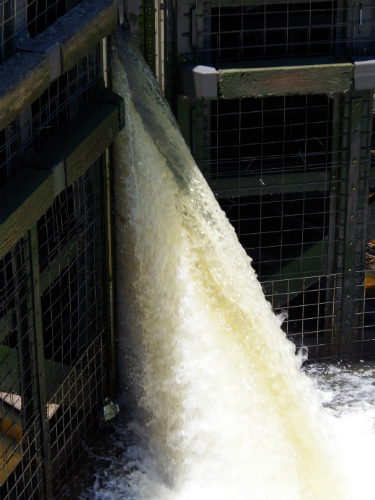 The water equalizing at the St. Lucie locks. At the end of our first week as liveaboards, Dan and I decided that we were ready to head down the Okeechobee Canal to Stuart on Friday and then on to Lantana on Saturday. Thursday afternoon we visited the St. Lucie Lock to watch how the process worked, since we have never transited a lock system before. Once there, we were encouraged at how easy everything looked and we were confident that we could handle it even with our limited experience. We spent the rest of Thursday evening packing up what definitely needed to be on the boat, buying some food for lunches underway, and dropping off one of our cars in Lantana. I think the car wanted to come too. We got up early on Friday morning ready to head out. Dan made a quick stop at McDonald’s for his morning coffee and I finished straightening up around the boat. When Dan got back he parked the car on the hill in front of our slip and came in to let the dogs out one last time, our last step before casting off. That’s when things went south. As Dan was walking the dogs, he saw movement from the corner of his eye…our car was rolling down the hill straight for the docks! 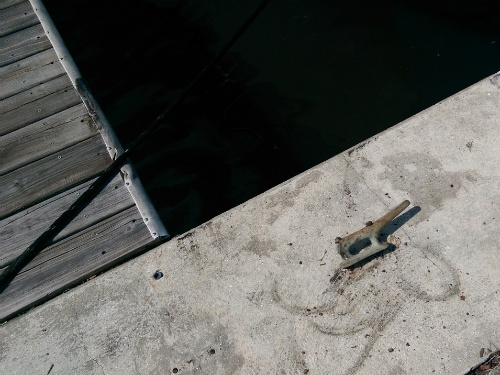 Amazingly, the car was stopped on the edge of the docks by the bowline from another boat, only damaging a few fittings on the boat and denting our bumper. However, now we were stuck with a car teetering precariously over the water; we did not want it falling in! 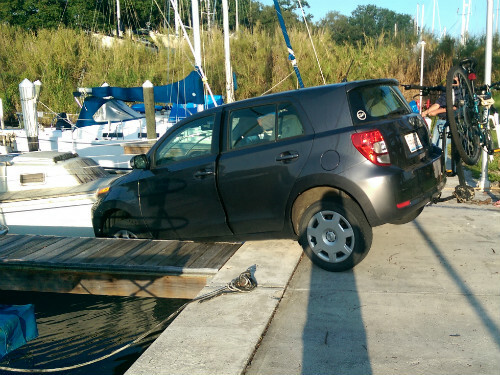 Some of the workers from the marina were able to bring over a chain and straps to attach the car to a tree and then adjust the boat away from the front of the car. Not before reminding us of the sailor’s superstition, “You know they say it’s bad luck to leave on a Friday.” Then the waiting game started. Indiantown isn’t exactly within quick driving distance of anywhere, so we waited almost two hours for the first tow-truck to arrive…only to have him tell us that his truck wouldn’t be able to winch the car out without further damaging the docks and our car. The sheriff on the scene has the number of another company to call that were able to help us, after another hour wait of course. All in all, the incident cost us about $150 in towing, 5 hours of time, and an unknown future amount from insurance claims. Not exactly how we had envisioned the day going. 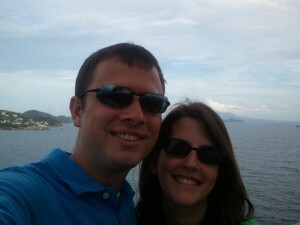 We did decide to still leave for Stuart later that day, but that’s a story for another post.